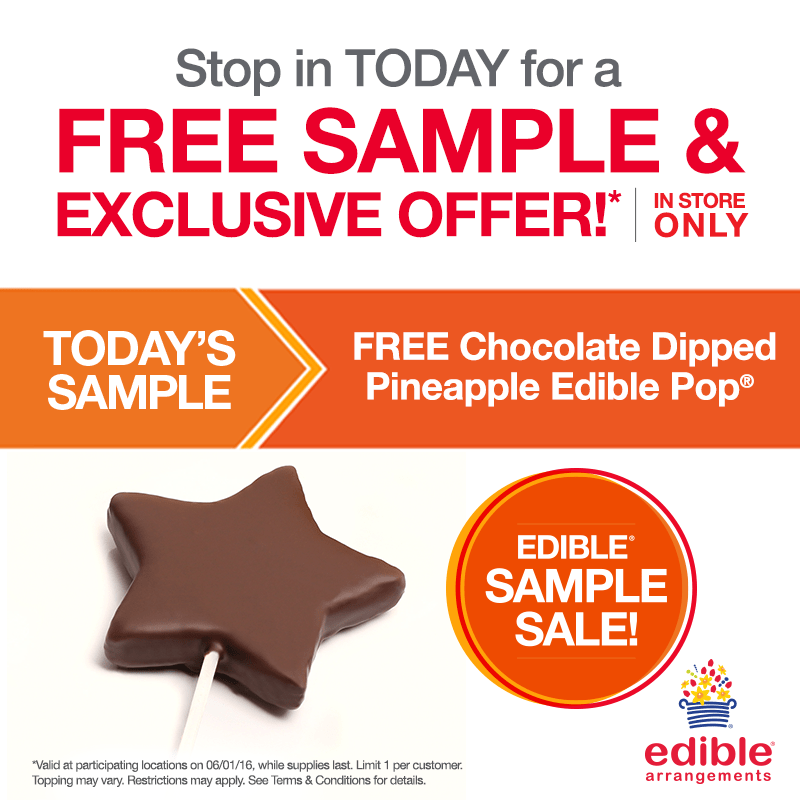 Stop By your local Edible Arrangement Store and Enjoy a FREE sample of Chocolate covered Pineapple. This Deal is available in store only and valid today. Look Below for all participating stores.